Cramped seats. Exorbitant baggage fees. Inflexible reservations. No refunds. Welcome to the world of “basic economy” airfare. Airlines have been cutting economy class perks for years, but in the first half of this year, the nickel-and-diming broke into an all-out race to the bottom. In January 2017, all three legacy carriers in the U.S. either introduced or expanded no-frills basic economy fares in their domestic routes: first Delta, then United, then American. In subsequent months, it became clear that European-style budget travel would define the U.S. flying experience for the foreseeable future. Reactions to the basic economy trend have ranged from resigned to outraged. The airlines claim to be responding to consumer demand, but many travelers have expressed frustration with the new fares. The most consequential opinion, however, belongs to business. Corporate dollars comprise one-third of the domestic travel market. Companies tend to be more brand-loyal and less price-sensitive than leisure travelers, which is a powerful combination for carriers. But businesses also place a high premium on schedule flexibility and predictable costs. For a long time, airlines tripped over themselves to court business travelers. Now they seem to be doing the opposite. Sure enough, some businesses are changing their travel policies specifically to keep their employees away from basic economy. Others have embraced the lower fares. Most businesses, meanwhile, have yet to consider the issue. That’s because doing so requires their analysts to compare historical travel spend with the cost of flying basic economy. A lot of finance teams are not equipped to do that. The cost of basic economy comes from not just the ticket price, but many small expenses that get added after the fact. Analyzing the true cost of basic economy requires finance teams to associate all of these disparate expenses with the same trip. To the average finance analyst, this compilation sounds like a lot of manual work. But with the right tools, aggregating travel spend is easy, insightful, and possibly influential on the adoption of basic economy. 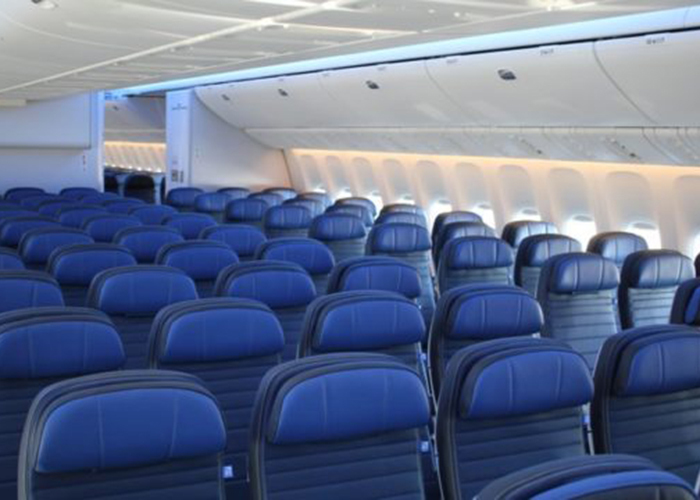 Why are airlines launching basic economy? Theories abound as to why legacy carriers are so eager to roll out a travel experience that forsakes the brand equity they’ve spent decades building. Bloomberg’s Justin Bachman—who describes basic economy as “the industry’s relentless drive to strip all comfort and grace from steerage class”—sees it as a trick to push corporate travelers into business class, the price of which has quietly increased. Meanwhile, a travel industry executive explained it as an attempt to gain market share against insurgent low-cost carriers. Because consumers accrue miles and other rewards, many prefer to stick with one carrier for both business and leisure. If the airlines don’t compete in the low-cost category, they miss acquiring those customers. Hence the introduction of a commodity product. Whether United, American, and Delta will benefit from competing with Southwest and Spirit on their home turf remains to be seen. For now, the legacy carriers seem to be cultivating the opposite of loyalty. The savings from basic economy are only about $20 per flight. In return, passengers must pay for carry-ons, overhead access, seat assignments, and pretty much everything but the tray table. (United’s basic economy doesn’t even allow passengers to pay for carry-ons unless they have elite status.) Refunds and upgrades are typically forbidden. Even the seats are getting smaller. By offering a fare class with that many restrictions, airlines have taken away much of what corporate travelers typically seek. That’s why some businesses have taken action to avoid basic economy altogether. Finance teams, department heads, and other people who write corporate travel policies will have a huge influence on the future of basic economy. In a time of increasing telepresence, it’s easy to envision a future in which this huge portion of the market reacts to the declining standard of air travel by simply flying less. It’s also possible that they’ll spend even more just to avoid basic economy. In any event, the decision will fall to individual finance teams long before any industry-wide best practices solidify. Some businesses have embraced basic economy and its cheaper fares. Others have explicitly asked their travel booking companies to exclude basic economy from search results. Many finance teams share that assumption. Whereas traditional airfare combines every amenity into one ticket purchase, basic economy’s costs don’t even incur at the same time. An employee could book the flight with a corporate card in June, add baggage fees in July, and use their personal card to pay for a seat assignment the day of the flight. The challenge of compiling these costs together leads many analysts to speculate whether the cheaper airfare is worth it at all. But what if there was a way to compile those fees? Not only would it be easy to tell if basic economy saves money or not, but finance teams would get to see the cost of flying even more clearly than they did before. Stripped of the ugly optics, basic economy is really just economy class with à la carte services. If a traveler needs to check luggage, they can pay for it. If they don’t, the ticket is cheaper. If travelers book basic economy for trips that are unlikely to reschedule—like when going to a conference or a board meeting—the long-term savings might outweigh the rare instance when they have to eat a non-refundable ticket. “Only pay or what you need” may be a new concept to the relatively cushy world of business travel, but it’s probably not new to your expense policy. Some finance teams, in other words, might end up valuing the basic economy offering if they could see how its constituent costs add up against more expensive tickets. Real time expense reporting eliminates that mystery by automatically organizing travel costs no matter how many sources they come from. Diverse line items flow in and a simple total appears in a dashboard on the back end. With no manual labor required to see the complete cost of a basic economy flight, the fractured add-ons that formerly seemed like a hassle combine into a hi-definition portrait of travel spend. It’s airfare disaggregated. This streamlined presentation also centralizes travel expenses in a transparent way that is extremely valuable to large companies. And while traveler experience is always a concern, basic economy is physically just economy class without a seat assignment—which many business travelers already fly. To some companies and some employees, basic economy might be the right call. In the few short months basic economy has been available nationwide, the fare class has accounted for 30 to 40% of economy purchases, according to United’s CFO. Passengers are complaining on social media, but when it comes time to pay for a plane ticket, enough of them are choosing basic to keep the experiment going. If your business decides to attempt a basic economy experiment of your own, keep two things in mind. First, make absolutely clear to employees what basic economy class entails. For flights that might reschedule or for which they’ll need a lot of luggage, basic probably isn’t right. But for short jaunts they could do with a carry-on, buying the extra overhead space might save money. Just make sure they expect it. Second, it’s worth the effort to compare the cost of basic economy with historical averages. You’ll need a real time travel expense aggregator to do it reliably and easily, but however you perform the analysis, comparing these fares to non-basic tickets will be the key to finding out if basic economy, for all its faults, might actually be a good thing for your travel spend. To see Abacus’ new Trips feature, which combines all your diverse travel expenses into a convenient dashboard, check out our blog post here. Survey: Would You Want An Accountant President? Take our anonymous survey to answer a simple question: what would it look like if the United States elected an accountant president for the first time? By improving antiquated UX, Apple’s betting it has changed the aspect of credit cards that matters most to customers. The goal: normalizing mobile payments. Within this 1,200-page bill are these provisions that promise to improve the experience of booking travel and flying for business.